It’s pricey but the kids love it. Lots of activities for kids 8 and under....Not sure I’d spend the money if my kids were 10+ but well worth it if they are younger. Welcome to Yogi Bear's Jellystone Park™ & Camp-Resort where the emphasis is on traditional family fun in a healthy outdoor environment. Our campground sits high and dry on 52 beautiful acres. From tenting and RV-ing, to our amazing furnished Canadian Habitat rental units, Jellystone Park™ & Camp-Resort is ideal for parents with children and grandchildren. 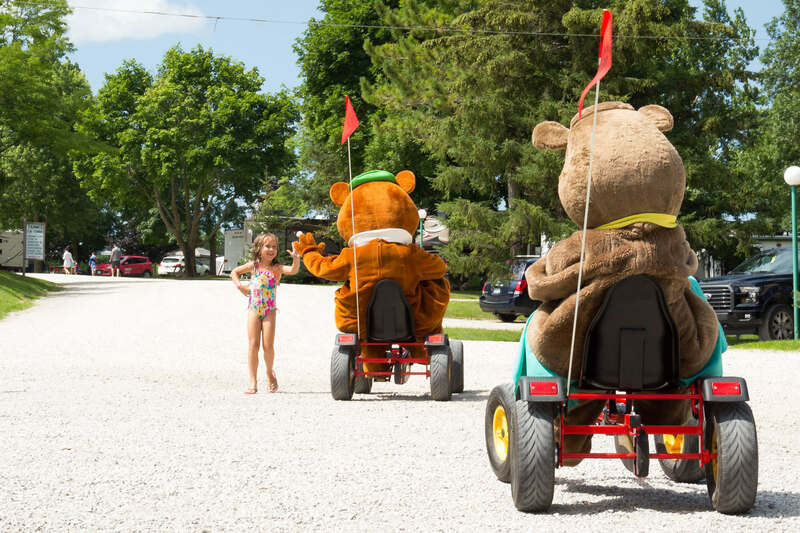 There is always lots to do at Yogi Bear's Jellystone Park™, including enjoying our heated in ground swimming pool, playing a round of mini-putt golf, watching Yogi Bear's™ cartoons, enjoying the traditional "Hey, Hey, Hey, Wagon Ride", and much, much, more. Planned activities mean there's never a dull moment at Jellystone Park™. You must be 21+ and have a valid credit card to register with us.